We our proud to be recognized as a Michigan 501(c)(3) organization, and since 2003 we have helped over 2000 children with wigs to help them during a time of need, often caused by cancer, burns or other disorders. 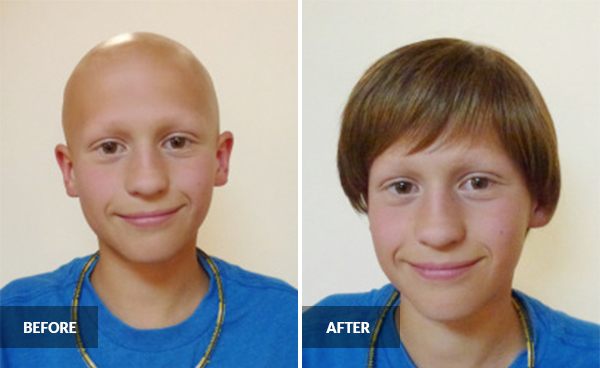 Wigs4Kids needs your help in many ways, from hair donations, monetary donations to corporate sponsorship's. The insurance industry does not presently offer reimbursement for wigs creation, and with your help we can work to get this changed. The average retail cost of a wig is approximately $2500-$3000, and our cost is approximately $800, which does not include the anticipated 16 hours of support. Our mission is to help children in need, rebuild confidence and restore smiles. We are proud to say "no child is turned away and no family ever pays", to make this happen we truly need the help of the community. You can become active in numerous ways, including volunteer opportunities. From sponsoring a wig, to making a hair or monetary donation, any effort made is greatly appreciated.